Canada is the country of lacrosse and hockey. However, many would argue that lacrosse is more popular and more prominent in Canada than hockey. There are many reasons why these people would be right in thinking that way. One thing you maybe did not know about lacrosse is that it is much older than hockey. It is believed that hockey originated sometime in the early 1800s, whereas lacrosse’s origins date back to somewhere around 1100 AD. Of course, the game played back then and the game we play today is completely different. It was mostly played on the territory of today’s North America, known as Stickball. In Canada, lacrosse was chosen as Canada’s national game in 1859 and stayed the only national sport until 1994. 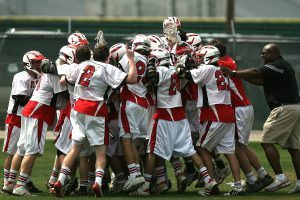 That year, the Canadian Parliament voted for Canada’s National Sports Act, which stated that lacrosse was Canada’s summer national sport and hockey was Canada’s winter national sport. Lacrosse has been the most popular sport in Canada ever since the beginning of the 20th century. The stadiums are always full whenever there is a lacrosse match, as Canadians love seeing their lacrosse stars in action on the field. 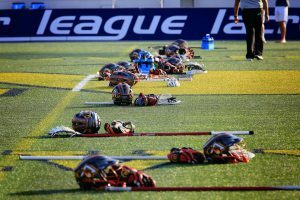 Today, the CLA recognizes four different types of lacrosse, which has increased the popularity of the sport even more, as there is a type of it for everyone. The four separate disciplines include box, men’s field, women’s field, and inter-lacrosse. The Box was invented in the 1930s when lacrosse players realized hockey arenas were empty during the summertime, so they decided to play lacrosse in them. This has resulted in the creation of the most popular type of lacrosse today which attracts the most attention among fans. The existence of inter-lacrosse means that even the youngest can safely enjoy playing and watching this sport. 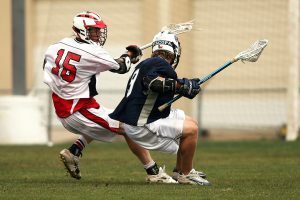 Lacrosse is originally a very contact-heavy sport, but contact is not allowed in inter-lacrosse. Instead, the focus is on technical skills, which is perfect for children who wish to make their first steps in this sport. Strangely, even though lacrosse is very popular in Canada, there is no money to be earned by playing it. Football, basketball, tennis players, etc. make millions playing sports, whereas lacrosse players cannot even make a living. For example, in 2013, the average lacrosse player earned only $19,135. The maximum salary which the best player in the league earned was $34,000. Now, that might not be fair, but it could be one of the reasons why lacrosse is so popular in Canada. It’s not about the money at all — it’s about the game.